The story goes, a bit over 7 years ago, some friends had posted a photo from Guatapé. I remember thinking, I've never seen anything like this. I immediately put it on my bucket list and put it in my dream bucket of .. hopefully one day. We took a plane from Cartagena to Medellin on LAN which is one of our favorite airlines now. Also pro tip, try to book the flight on the Spanish website. TripAdvisor was giving the flight at $114 and we got it for $40 direct from the site.. in Spanish. 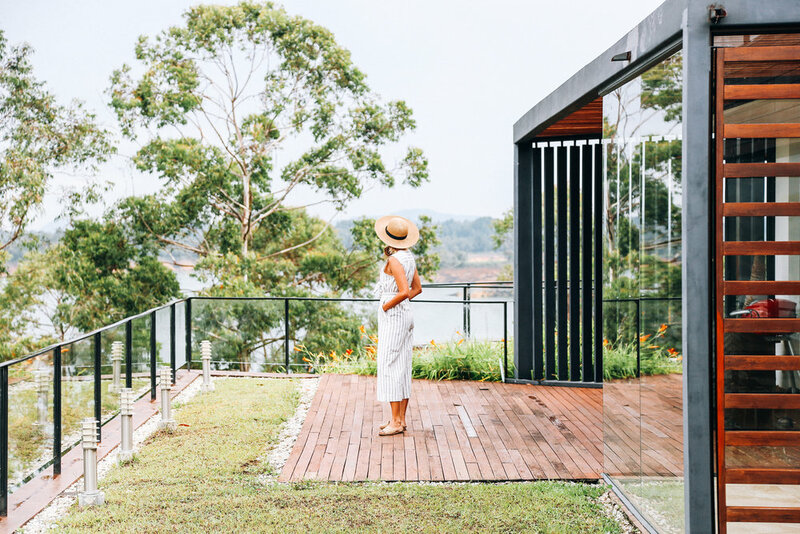 We stayed at one of the most modernly stunning Airbnb's I've ever been too (as you can tell with our photo shoot we had there). It's part of the Luxe by Charlee compound (@luxecolombia). It was some 15 minutes off the main path on a dirt road. The only way in and out is via MotoTaxi (which they call motoraton or motochivas). It was super easy to get to the Piedra del Penol as well as Guatepé town. Do not miss Guatapé. We kept calling it a rainbow town. 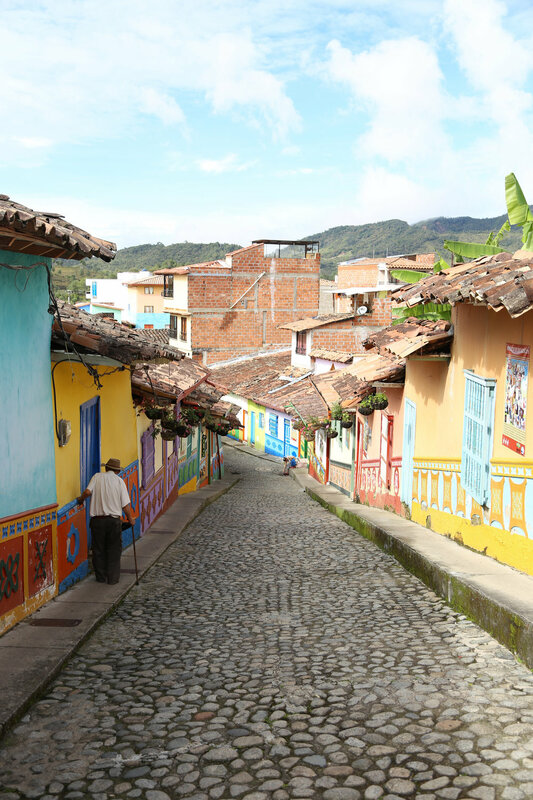 The facades of the homes are beautifully colored and designed and you see just about every color of the rainbow. The whole experience in Guatapé was filled with stunning views and peaceful vibes. Here's my Guatape Airbnb Wishlist.